We don't want to be in the shoes of someone torn between the iPhone XR and the iPhone XS. Both are great phones, there's no denying that, but there are all sorts of reasons for choosing one over the other. For example, the XR is more affordable, has the best battery life on an iPhone, and comes in a variety of pretty colors. The XS, on the other hand, comes with a higher-res screen, a stronger body made of stainless steel, and an awesome dual camera with 2X optical magnification abilities. 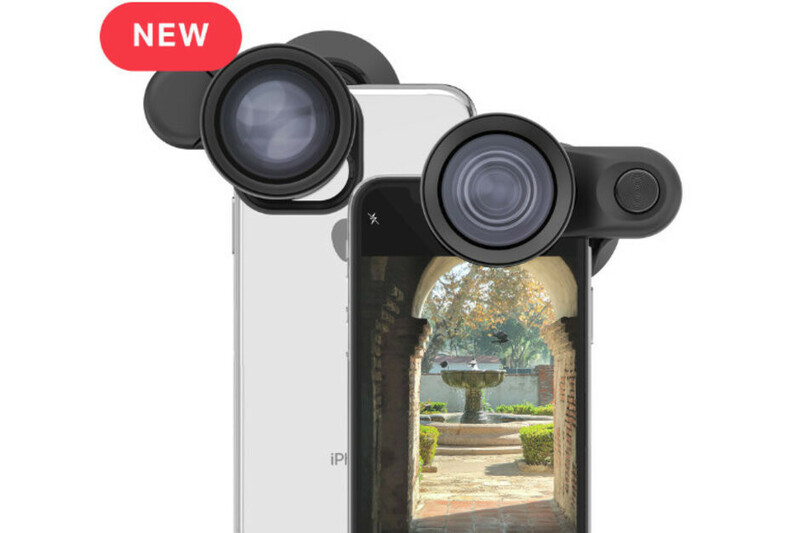 But what if we told you that you could use multiple lenses on any iPhone? Well, you can since accessory makes have us covered. Those below are lens kits designed specifically for the latest iPhones, giving their cameras new and exciting imaging abilities impossible to achieve via software. Check them out to see how to start shooting photos and videos from a totally different perspective. For several years now, Olloclip has been making sets of lenses for the iPhone. They've never been cheap, but they've always delivered great results, as our reviews have shown. The company's lenses cover a broad range of needs: macro lenses that let you examine objects from only millimeters away; wide-angle and fisheye lenses that tremendously expand your field of view; telephoto lenses that bring distant subjects closer. And lenses are offered both individually and in sets to better suit your needs or style. Olloclip lenses are used by having a specially designed clip that goes over your iPhone's camera. Lenses are attached to the clip and cover the camera lens, thus augmenting its optical abilities. 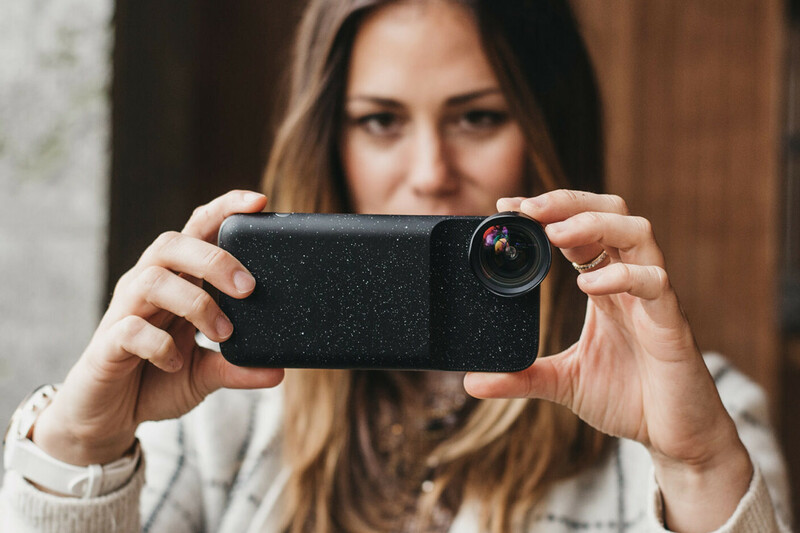 One downside to this design approach is that you have to take your case off before using a lens, which is why Olloclip is also offering a lightweight case compatible with its lens accessories. Olloclip's lenses are designed to work with the iPhone XR, iPhone XS, and iPhone XS Max, but can also be used with older iPhone models. The iPhone X clip, however, will not fit the XS, so keep that in mind while doing your shopping. Another thing to consider is that the clip covers the iPhone's built-in flash, so using it while shooting isn't an option. The company's latest lenses are available on the official Olloclip website. 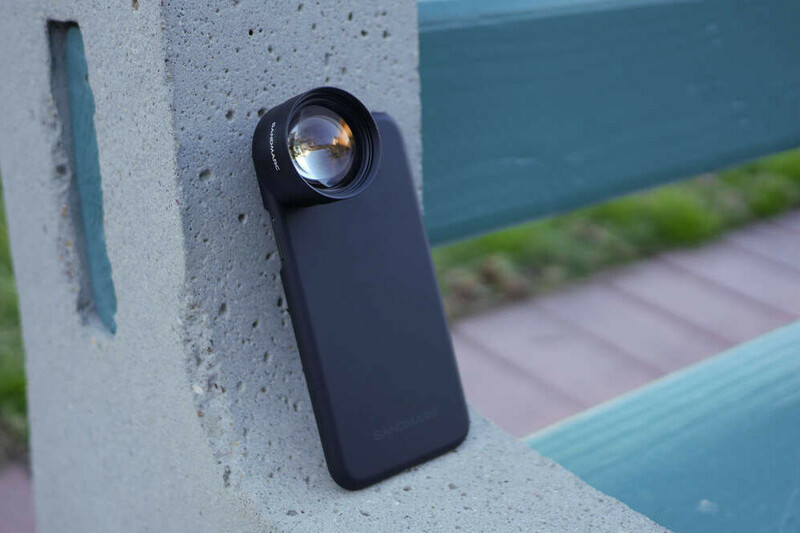 Back in 2014, a project for an iPhone lens kit appeared on Kickstarter. Named Moment, its goal was to empower mobile photographers to capture the beauty of the world around them. The product: wide-angle and telephoto lenses built with utmost attention to quality. Moment lenses are now available for the latest iPhones, as well as for the top Galaxy and Pixel phones, as well as for the OnePlus 6T. However, you do need one of Moment's cases as that's what the company's lenses attach to. While not cheap at all, Moment lenses give you a lot more creative freedom with the new perspective they offer. High-quality telephoto, fisheye, wide-angle, and macro lenses are currently on sale, as well as a rather intriguing anamorphic lens designed for videography enthusiasts. We won't get into detail as to what anamorphic lenses do, but you should know that one of these can give your footage a much more cinematic look. As the case is with Olloclip lenses, Moment's lenses make your iPhone's LED flash unusable. Sandmarc lenses for the iPhone XS, XS Max, and iPhone XR don't come cheap either, but they do offer impressive image quality. The brand's wide-angle, telephoto, fisheye, and macro lenses are made of high-grade materials including aluminum and multi-coated glass. Additionally, the telephoto and wide-angle lenses are compatible with Sandmarc's "Drama" and "Scape" filters, which appear to be a polarizer filter to reduce reflections and an ND filter that limits the amount of light entering the lens. To use Sandmarc's lenses with your iPhone, however, you do need to mount it to one of Sandmarc's cases. These aren't particularly inspiring with their looks, but they are thin and light. Word of note: the LED flash is covered by the lens so it becomes unusable while shooting. All lenses, lens kits, and cases are available on the Sandmarc website. Why aren't we buying DSLR cameras again?